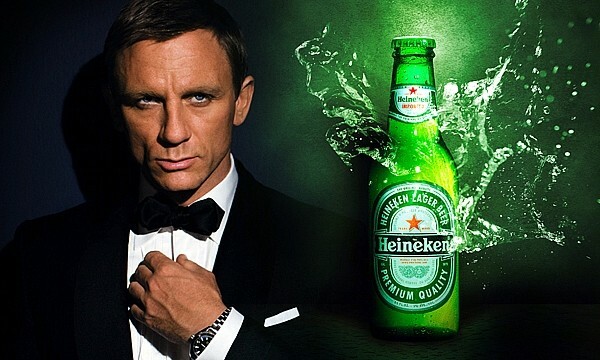 Heineken®, the world’s leading premium beer brand, today announced a thrilling new TV and digital campaign, in anticipation of the release of the 23rd James Bond adventure, SKYFALL™, which sees Daniel Craig bring his explosive portrayal of James Bond to a Heineken ad for the very first time. Challenging consumers to defy his enemies and ‘Crack the Case’, viewers will be taken on an epic train journey alongside stunning Bond newcomer Bérénice Marlohe. Thinking outside the box, definitely ! 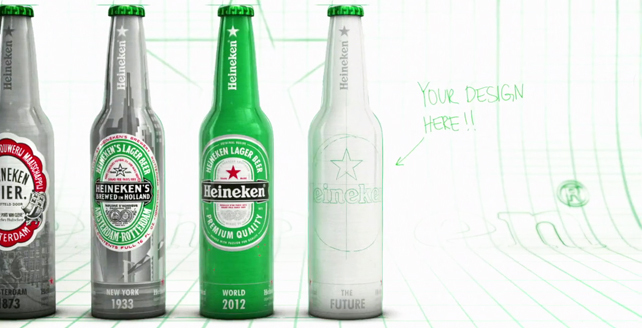 Heineken is challenging you to create a design for the beer brand’s iconic bottle, with a twist. Your design is only half of a bottle, so you have to connect with other designers in the gallery to create a complete entry. To compete, visit Heineken Netherlands’ Facebook page, download a template and create a design that symbolizes how people around the world “connect.” The deadline for entries is Jan. 31. The winning design will go on sale at the end of 2012 to commemorate the brand’s 140th anniversary. For more on this work, visit Creativity-Online.com.